Friday’s result was, by no means, what the Mammoth were looking for. 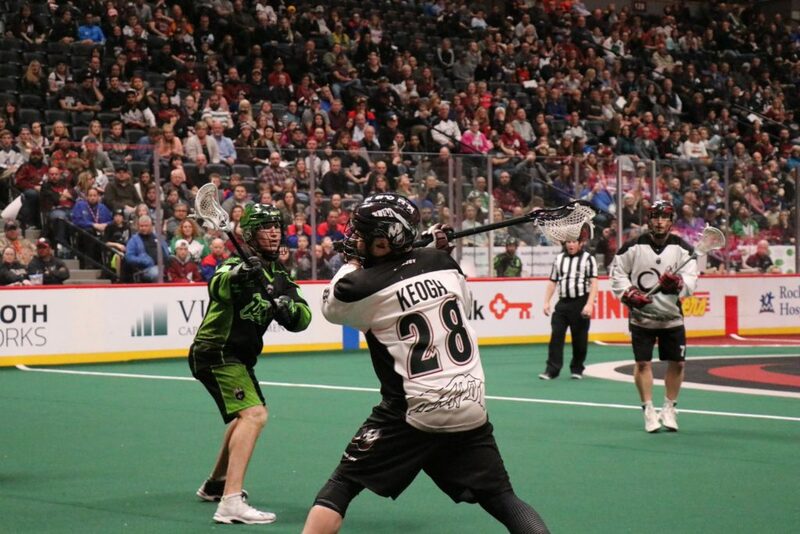 For the second time this season, the Saskatchewan Rush came to Denver and stole a victory. However, as any sports fan knows, there is most definitely a, “good loss.” Fortunately for Colorado, tonight’s defeat falls into that category. The first quarter was dominated by defense. Colorado’s Stephan Keogh got the scoring started early with what would prove to be the quarter’s only goal. Defensively, the Mammoth were stellar. Robert Hope played lockdown defense for the Mammoth. Dillon Ward stopped everything that was flung his way. Everything went right for Colorado on that side of the ball. One of the game’s biggest takeaways should be Colorado’s improvement during the second quarter. While the Mammoth’s performance was still nowhere near ideal, improvement was evident. Colorado let in only five goals this period and scored three of their own. Pessimists would argue that this quarter still proved to be the Mammoth’s kryptonite. After all, the Rush were able to score four goals on six shots and Colorado’s defense simply had no answer. But let’s be optimists, shall we? The last two times these teams squared off, Saskatchewan had scored eight goals by the end of the first half. All of the momentum was in their hands. The same statement could be said about Vancouver following the second period of last week’s contest. But tonight, the Mammoth ended the quarter on a 2-0 run, with one goal coming off of a power play. For once, they had the momentum. And it showed throughout the rest of the game. The third quarter was highlighted by a string of lead changes. Colorado came out firing on all cylinders and ended up taking an 8-6 lead. Then, the Rush did what they do best: They got out of a bad situation. While Brett Mydske sat in the penalty box serving a five-minute major for high-sticking, the Rush held Colorado’s extra-man unit to only one goal. To add insult to injury, the Rush scored a shorthanded goal to negate the gains made by Colorado’s power play unit. Regardless, the score sat at 8-7, in favor of the home team. The fourth quarter saw Saskatchewan slowly pull away from Colorado. While Zach Greer and Joey Cupido tried to give the Rush a run for their money, the late push was not meant to be as Saskatchewan won the game 13-10. The improved second quarter performance wasn’t Colorado’s only positive takeaway. The Mammoth have aimed to take smarter shots for the last few games and, until today, they failed to do so. Tonight, however, Colorado took only 49 shots, many of them from high-percentage areas. Head Coach Pat Coyle’s message seems to finally have gotten through to his players. In terms of areas of improvement, Colorado still needs to improve at the faceoff-X. While no official stats were available at the time of publication, it has become clear over the last three games that Colorado needs help in that area. Tonight, Saskatchewan controlled possession and that can be attributed solely to our faceoff troubles. With the loss, the Mammoth fell to 4-2 on the season and now sit in second place in the Western Division. The Mammoth won’t see the friendly confines of the Loud House again for a full month as Colorado is set to take a three game road trip to Calgary, New England, and Georgia. Colorado’s next contest will be on February 10th against the Calgary Roughnecks in a game that can be seen live on Twitter.